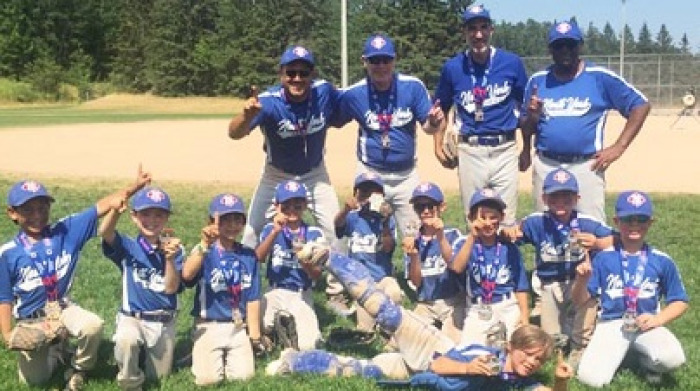 The North York Blues Minor Rookie AAA defeated Burlington to win the Barrie Minor Rookie Tournament July 13-15. The Blues made it a clean sweep, going undefeated in the tournament beating Burlington, Barrie and Leaside in the round robin portion. They defeated Leaside 8-5 in a tense semi-final match. They faced Burlington for second time in final and defeated them 14-8. Congratulations to all the North York players coaches and families.